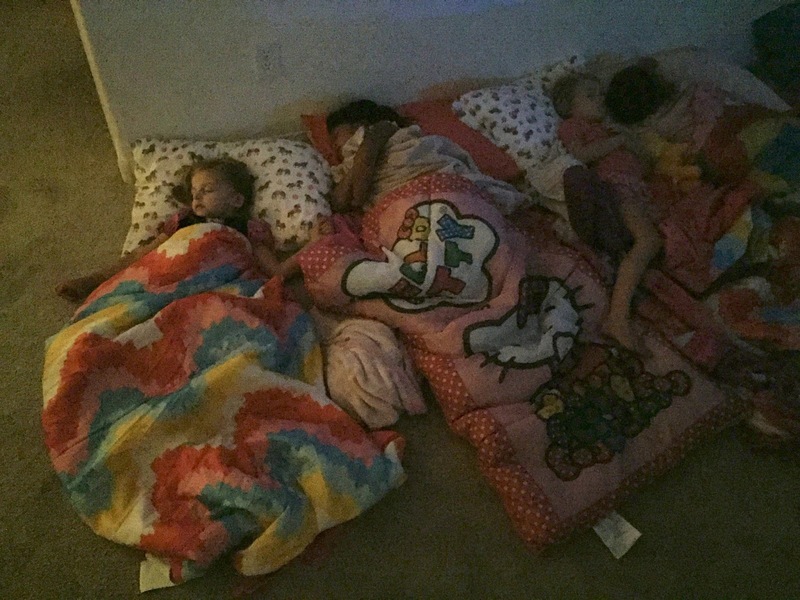 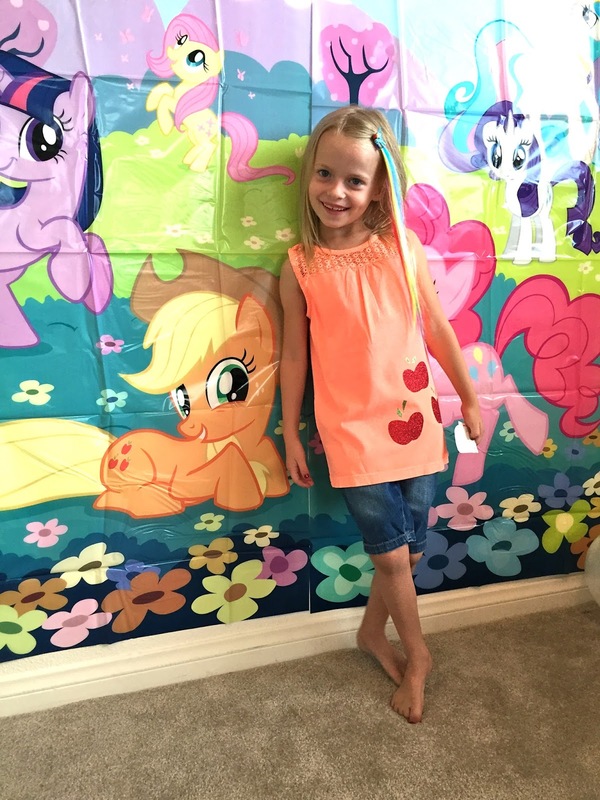 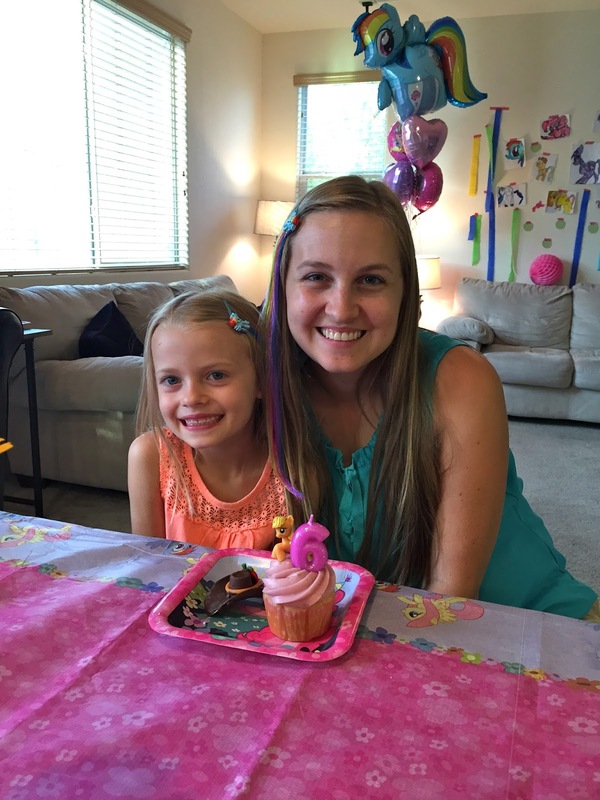 Kenley chose to have a My Little Pony themed 6th Birthday sleepover with 2 friends! 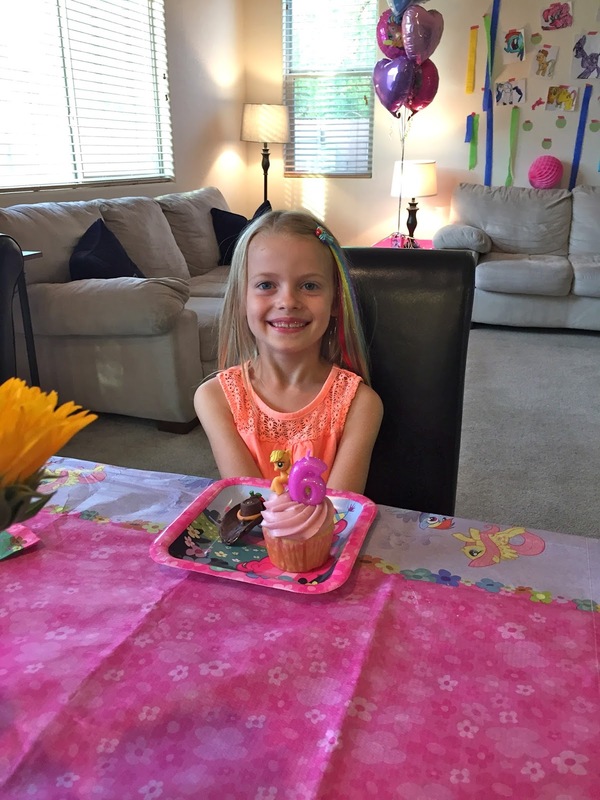 Since it was a small sleepover party with 2 close friends I let Kenley have creative license with the decorations :) She LOVED it. 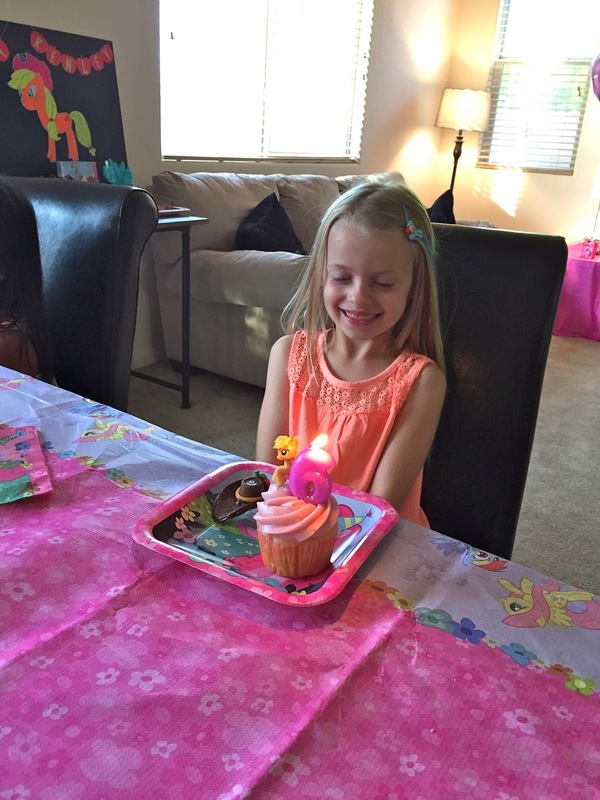 I think it may have been her favorite birthday party because she got to do so much of the planning! 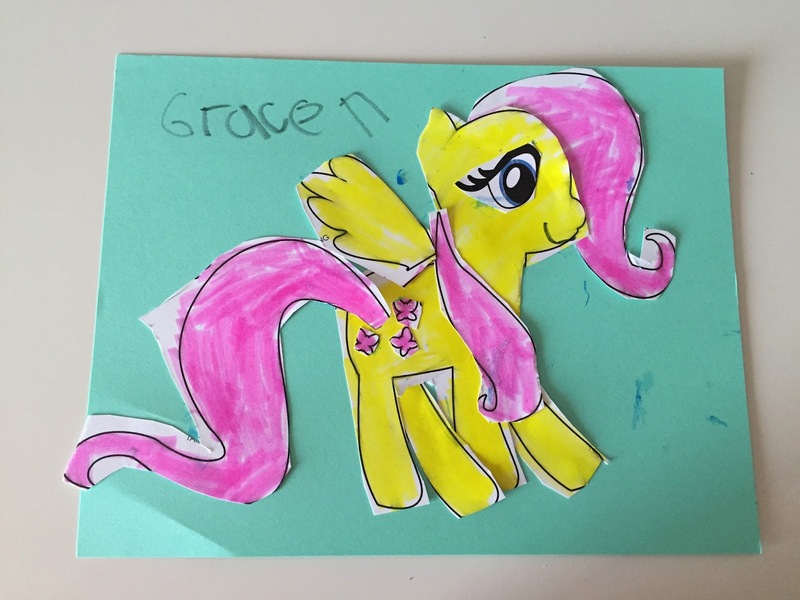 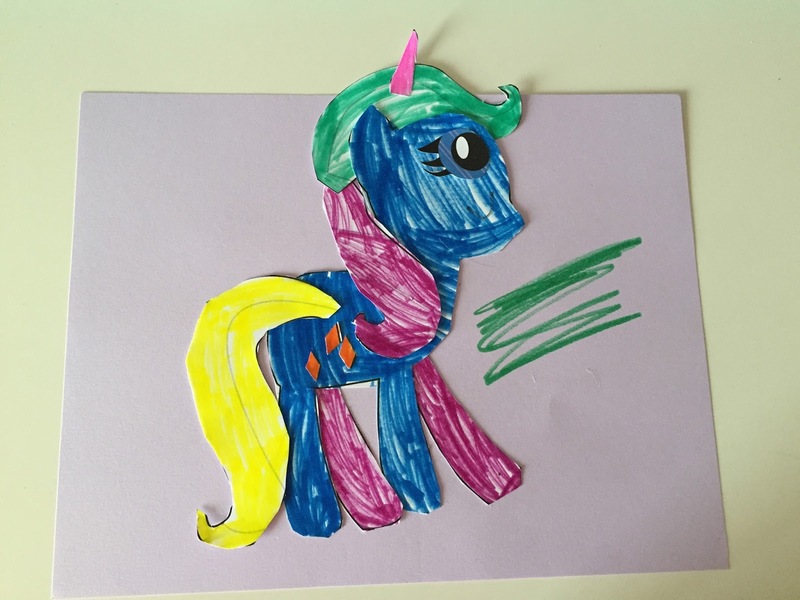 A few weeks before the party we started working on Art For Kids Hub My Little Pony drawings! When the girls arrived we had My Little Pony water painting pictures for them to do with q-tips. 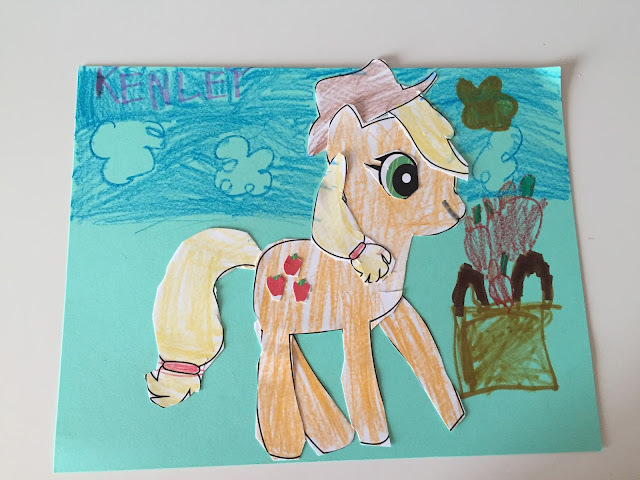 Grammy made these super cute Applejack Cowgirl hats with Pringles and Rolos. 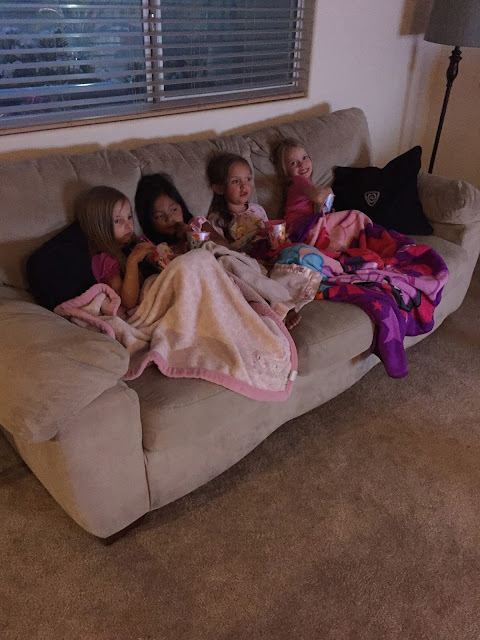 After presents it was time to watch an episode of MLP before bed! With some rainbow popcorn to snack on in MLP cups! 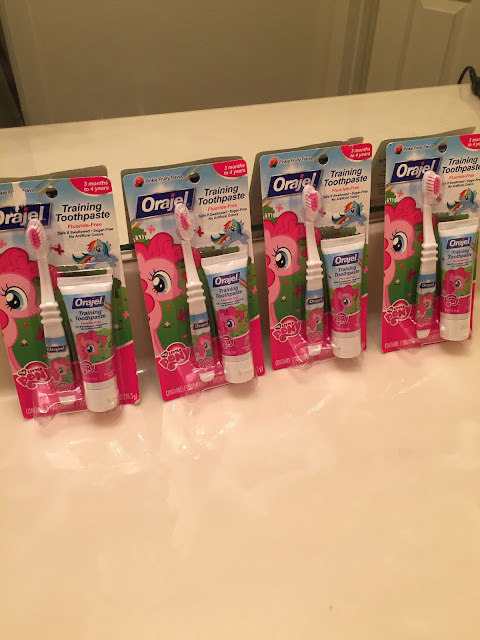 Time to brush their teeth before bed! 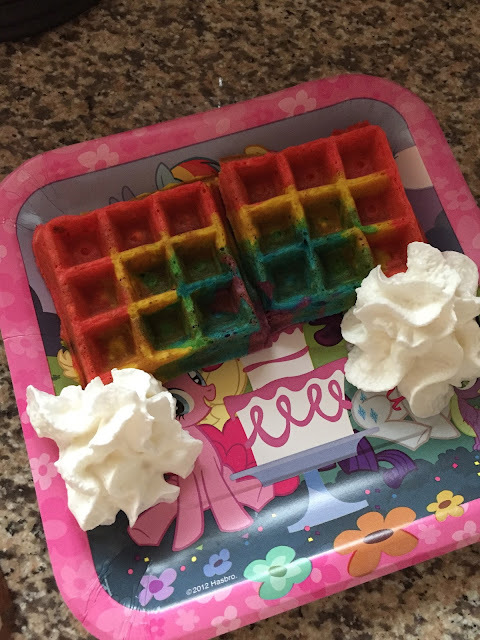 Rainbow Waffles for breakfast! They were quite tricky and very messy to make but the girls loved them! 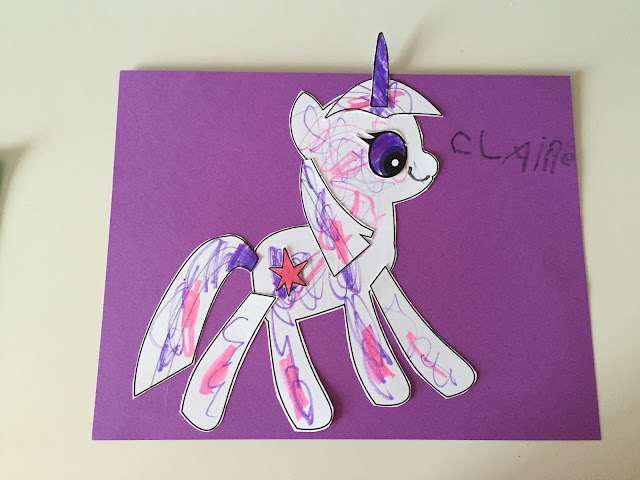 Hair Clip, Coloring Book, Tooth Brush + Toothpaste, Stickers, Sticker Scene, Tattoos, Bunny Snacks, Pony Figure, Cup, Ring Pop, Pen, and the Geode. 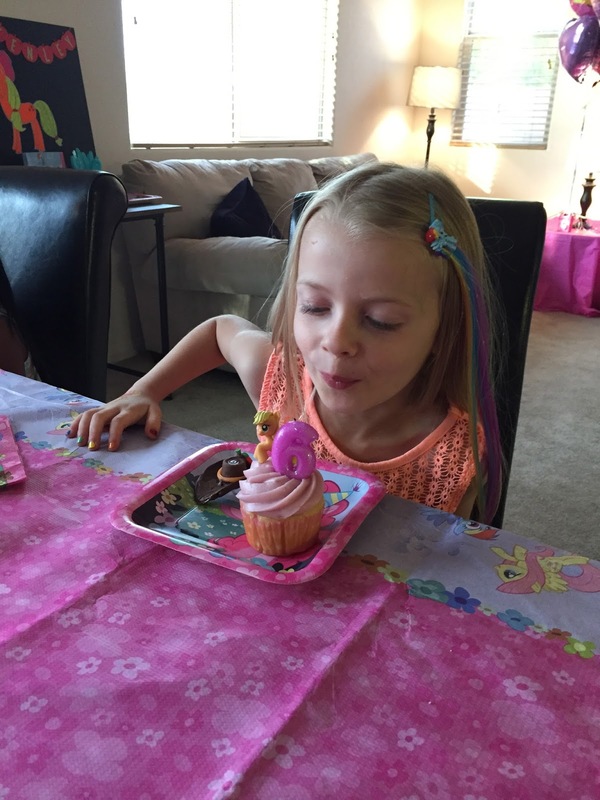 This party was chock full of activities, made by Kenley decor, and party favors.